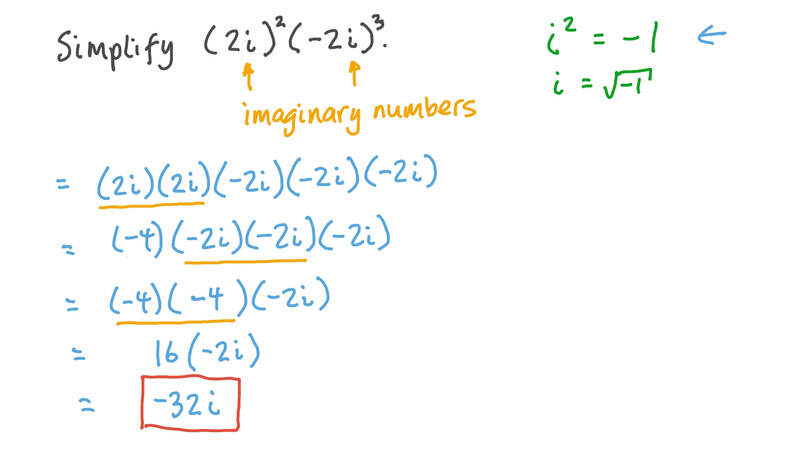 In this lesson, we will learn how to evaluate, simplify, and multiply pure imaginary numbers and solve equations over the set of pure imaginary numbers. 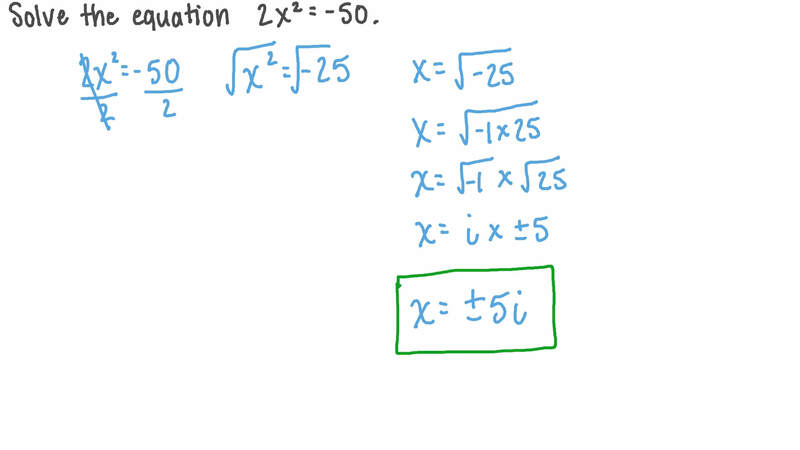 Solve the equation 2 𝑥 = − 5 0 2 . Simplify 1 7 𝑖 ( − 5 𝑖 ) . Simplify ( 2 𝑖 ) ( − 2 𝑖 ) 2 3 . Solve the equation 𝑥 = − 1 6 2 . Simplify √ − 6 1 . Simplify 𝑖 − 5 4 . Simplify 1 𝑖 − 3 9 . Simplify √ − 1 0 × √ − 6 . Determine the solution set of 4 𝑥 + 1 1 1 = 7 5 2 over the set of complex numbers. Simplify 𝑖 1 2 𝑛 + 3 9 , given that 𝑛 ∈ ℤ + . Given that 𝑛 is an integer, simplify 𝑖 1 6 𝑛 − 3 5 . Simplify 𝑖 2 9 . Simplify the expression 𝑖 3 . Simplify 1 𝑖 4 5 . What is the value of ( 5 𝑖 )  ? Simplify ( 2 𝑖 ) ( 3 𝑖 ) 3 2 . Simplify ( 3 𝑖 ) ( − 2 𝑖 ) 2 3 . Simplify − 1 7 𝑖 ( − 1 0 𝑖 ) . Simplify 1 𝑖 2 7 . Simplify 𝑖 2 5 .